EVOLVE Wrestling held the second event of the weekend on their way to crowning their first Tag Team Champions. 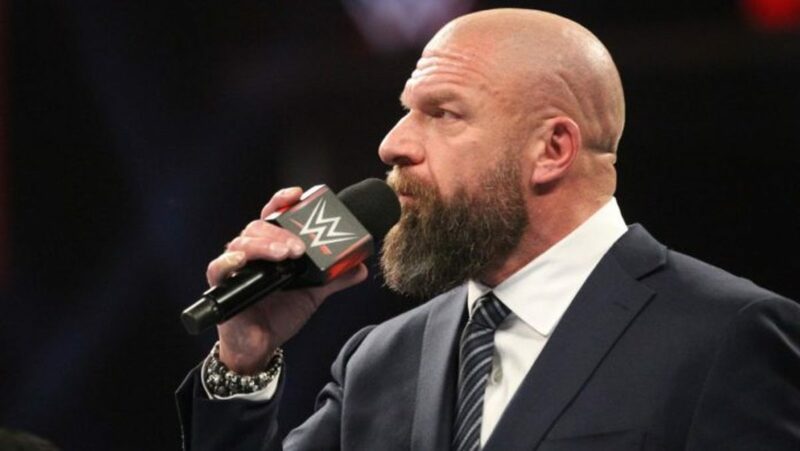 WWE COO Triple H was in attendance as William Regal was set to make an announcement along with NXT tag team Jason Jordan and Chad Gable signed autographs. Regal made an appearance during intermission which included EVOLVE Champion Timothy Thatcher and Matt Riddle where Riddle appeared to have challenged the champion to a future match. - 2nd Chance Tag Team Tournament First Round Match: Team Tremendous (Dan Barry & Bill Carr) defeat The Premier Athlete Brand (Anthony Nese & Caleb Konley w/So Cal Val & Andrea), pinning Nese with “Book em, Danno!” The Premier Athlete Brand attack Tremendous after the match. Konley however leaves, stating he only cares about the EVOLVE championship. Peter Kaasa chases Anthony Nese away. - Style Battle 2016 Round Robin Tournament Match: Matt Riddle submits Yehi to an inveted heel hook. Riddle is now 2-0 and Yehi is 0-2. - Tommaso Ciampa pins Ethan Page with a running knee strike to the face. This was Ciampa’s EVOLVE debut. - 2nd Chance Tag Team Tournament First Round Match: Catch Point (Drew Gulak & TJ Perkins w/”Hot Sauce” Tracy Willams & Matt Riddle) defeat Zack Sabre Jr. and Sami Callihan when Perkins submits Callihan in a cross armbreaker after a Detonation Kick. Frustrated by the loss, Callihan shoves Sabre Jr. and challenged him to a singles match tomorrow. Sabre Jr. accepted. - Style Battle 2016 Round Robin Tournament Match: “Hot Sauce” Tracy Williams w/Drew Gulak submits Peter Kaasa to a crossface. Williams is now 2-0 and Kaasa is now 0-2. Tomorrow night, the winner of Williams vs. Riddle wins the Style Battle tournament. - EVOLVE Tag Team Title Tournament Semi-Final Round Match: Johnny Gargano & Drew Galloway defeat the Bravado Bros. (Harlem & Lancelot Bravado) when Gargano submitted Harlem to the Garga-No Escape. - EVOLVE Tag Team Title Tournament Semi-Final Round Match: Heroes Eventually Die (Chris Hero & Tommy End) defeat Roppongi Vice (Rocky Romero & Trent Baretta) with a Death Blow/knee strike combo to Romero. The EVOLVE Tag Team Title Tournament finals take place Sunday in the same building with Gargano & Galloway take on Heroes Eventually Die for the Evolve tag team titles.